Updated on 2019 Avenida de Julián Clavería , Oviedo , Spain (Postal Code: 33006). Swimmers like you reported 25 meters x 12.5 meters, 6 lanes, 1.3 meters - 1.8 meters depth, 1.3 meters - 1.8 meters depth, Indoors. Phone number and e-mail address are number for this Pool. Updated on 2019 Plaza de Concha Heres 6 33010, Oviedo (Asturias). Swimmers like you reported 25 meters x 10 meters, Indoors. Phone number and e mail address are number for this Pool. Updated on 2019 Avenida Luxemburgo , Oviedo , Spain (Postal Code: 33011). Among all the activities supplied by the center, if you are considering swimming you will appreciate 25 meters x 16 meters, 1.4 meters - 1.7 meters depth, 1.4 meters - 1.7 meters depth, Indoors. Just in case you want to contact this Swimming Pool just before dropping by, we only know the phone number. Updated on 2019 CONCINOS, 9 1ºB 33012 , . 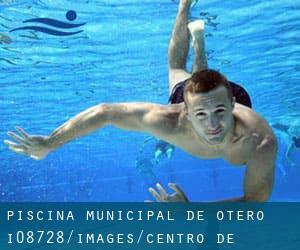 Updated on 2019 MTNEZ CACHERO,S/N-PIS.PARQUE OESTE 33013 - OVIEDO (ASTURIAS) , . Updated on 2019 CORZOS, S/N 32570 , . Updated on 2019 La Corredoria s/n , Oviedo , Spain (Postal Code: 33011). This sports center gives 25 meters x 12.5 meters, 6 lanes, Indoors. For this Swimming Pool, only phone number is number here. Updated on 2019 MARTINEZ CACHERO, S/N (PISC. PARQUE DEL OESTE) 33013 - OVIEDO (ASTURIAS) , . Updated on 2019 TRAVESIA DE AMERICA,S/Nº - PIS. MUNICIPAL 33950 - SOTONDRIO (ASTURIAS) , .